Firstly, I’m sorry for how long it’s been since my last review! I’ve recently started a new job and have been very busy. Over the next week, my backlog of reviews will be written up and published for you all to enjoy! 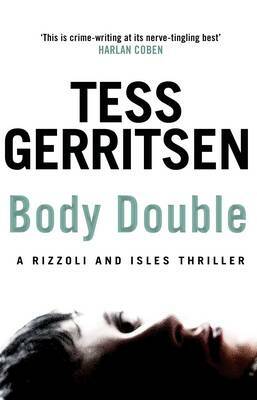 So back onto the Rizzoli & Isles series by Tess Gerritsen (I plan to read all the available ones by the end of my challenge) and in Body Double we delve into Maura Isles’s roots after a woman who looks exactly like her is murdered outside her house. Determined to find out who this woman is, Maura goes on a journey of self discovery and what she finds is a family… but is it one she wants to be associated with? The character development for Maura is very good in this book. Obviously with a lot of the book focusing on Maura’s discoveries this needed to be the case. We also learn a lot about Jane Rizzoli and her expanding personal life (and uterus!). We also meet new characters who help to deepen both the book specific and series-arching plot lines. As for the murders, a compulsory part of this book series, they are interesting. The gore of some of the previous novels is not present here but that doesn’t take away the disgust and horror at the way these deaths occur and the motivations behind them. I found this novel particularly creepy in terms of its murderers. A very installation in the Rizzoli & Isles series and one I would wholeheartedly recommend! Just start the series from the beginning as it will help with understanding the series-arching plotlines much better. This entry was posted in Books, Entertainment and Media and tagged adoption, blood, Body Double, crime, Death, Isles, Jane, Maura, murder, pregnancy, Rizzoli, Rizzoli & Isles, Tess Gerritsen by The Reviewinators. Bookmark the permalink.